Drawing on responses to the 2015 Adult Admitted Patient Survey, this report examines, for the first time, experiences of patients with disability in NSW public hospitals. It compares the experiences of patients who said they do have disability with those who said they do not; as well as local health district (LHD) and hospital variation in responses from the disability group. We asked thousands of patients about their experiences of hospital care. 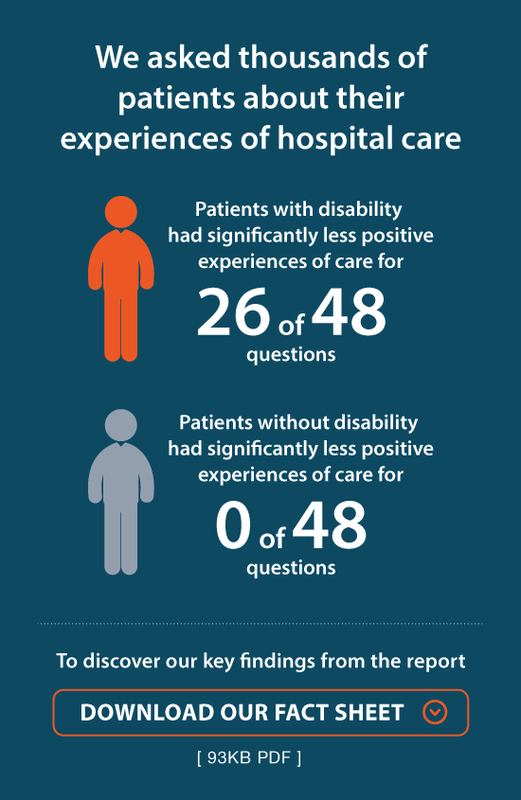 Patients with disability had significantly less positive experiences of care for 26 of 48 questions. Patients without disability had significantly less positive experiences of care for 0 of 48 questions. Select the ‘Download our fact sheet’ link for a fact sheet containing key findings from the report.